You got the call you were waiting for; the rescue shelter called to tell you the dog is yours to bring home! Now, what? Here are some great tips to make the transition from shelter to home less stressful. 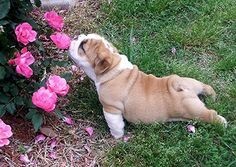 No matter the age of bulldog, they are curious creatures. Put yourself in his paws by going through your home and look for dangers that will be at his level. Any poisonous houseplants, electrical cords or small children’s toys can seriously harm your dog. The wonderful people at wagsandwalks.org also encourage supervising your dog at home until he knows what he can’t do. By doing so, you will avoid chewed up shoes, cords, or anything of value. Dogs chew because it’s fun or to relieve stress. They don’t chew to spite you. 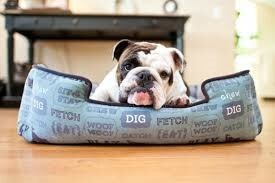 Keep plenty of chew toys available for your bulldog. You will need to buy the basics before your bully comes to live with you. This will give you and your new friend a chance to settle in without needing to go to the store all the time. A crate, food and water dishes and a breakaway collar are necessities. A leash and some baby gates are good things to buy as well to keep your dog safe at home and out on walks. You also need to have somewhere for your dog to sleep and toys for him to play with. An insider tip from dogtime.com is asking the shelter what food they fed your dog and buying the same. A change in dog food and diet may cause your dog to have an upset stomach. While you may feel tempted to let your dog explore his new house on his own, don’t. Cesar Milan explains that it is a strange environment and your dog could create negative associations and feel trapped. Instead, slowly show your dog around the house, room by room. Start in the room with their food and water and give your dog time to explore everything. Let your dog eat and get a drink of water while you are in there. This will also help relax your dog. Avoid rooms that you don’t want your dog to go into. Jolanta Benal, The Dog Trainer at quickanddirtytips.com recommends having your friends and family come to your home in the first few weeks. 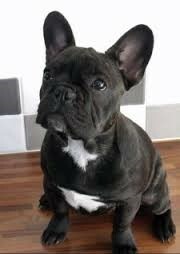 Keep these visits subdued and let them get acquainted with your new bulldog. This will help teach your dog what will be normal in his new home. It also gives the dog a chance to be social with you and your loved ones. Let your dog smell each person first. Explain to them not to show the dog affection until the dog comes to them first. This helps show the dog that it isn’t a leader of the pack. Eventually the newness of everything – for you and your dog – will wear off and things will become normal again. Sara, a shelter outreach director for petfinder.com has some great tips for the first 30 days home with your new friend. Some people say that it could take a few weeks for your bulldog’s true personality to come out. Getting to know each other takes time. Stay patient and keep to your schedule for feeding, walks and play time. This helps your dog understand what is expected of him. The first few weeks after your bulldog comes home with you will be a little stressful. Just remember that your dog will be stressed out a little too. If you follow these great tips, you will be able to reduce the stress and make the transition enjoyable.